The Perfect Gift for Your Mom-A Slideshow from the Heart. 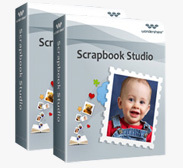 Get Wondershare DVD Slideshow Builder for Free and Create One for Your Mom Today! Thank you for your visiting and your interest in Wondershare products! Wondershare 2012 Mother's Day Special Offer is over now. "It is great for collecting the old family photos to share memories on TV." "My mom misses her little grand-daughter all the time because we live in different cities. I made a slideshow of my girl and sent to her, hope this can be a comfort." Agree to receive newsletters from Wondershare.